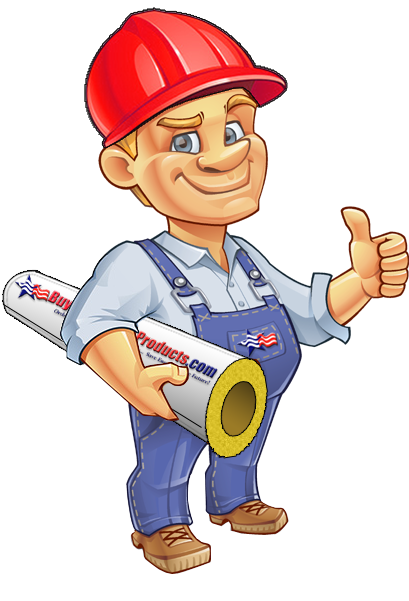 STEP 1: Find out where the pipe union fitting will fall on the piece of fiberglass pipe insulation. 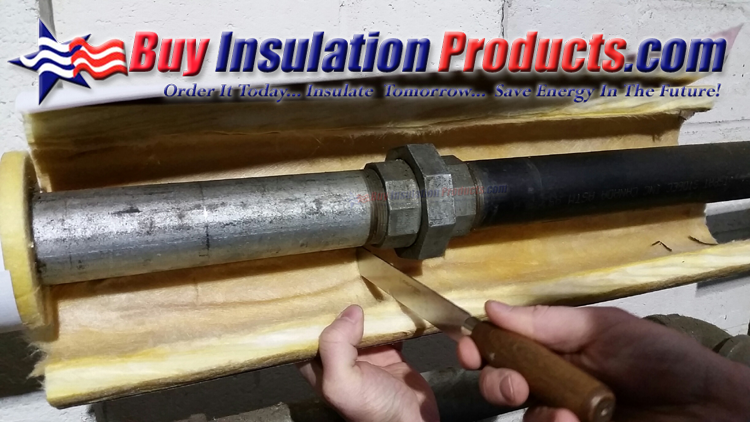 Open up the piece of pipe insulation and make a notch with a sharp knife on both sides of the pipe insulation as shown in the next two photos. 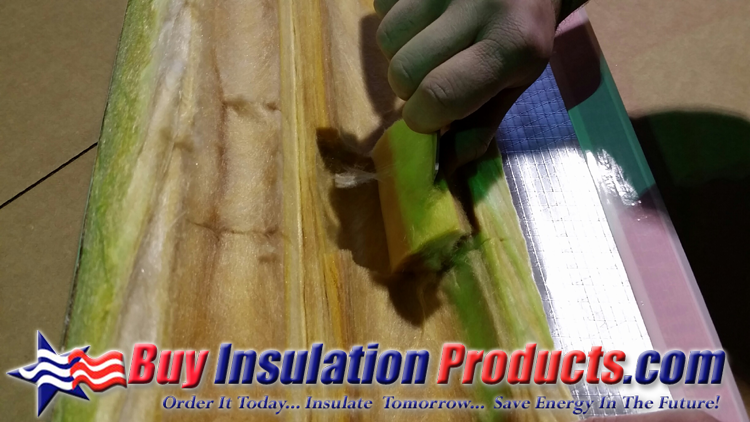 STEP 2: Place the piece of fiberglass pipe insulation on a table or on the top of a box (in the field). Open the pipe insulation all the way so you have two halves of the pipe insulation facing you (two C's). 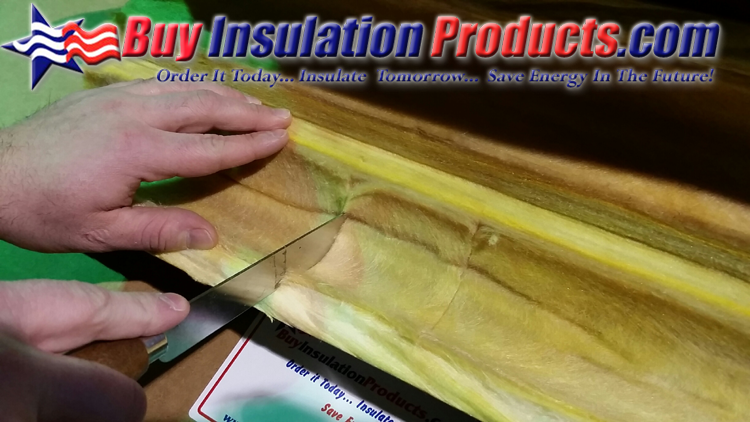 STEP 3: Find the notches you marked previously in step 1 and cut slices into the into the pipe insulation. Make the slices only as deep as necessary, make sure not to cut through the ASJ jacketing. Make the same cuts on the second halve as well. 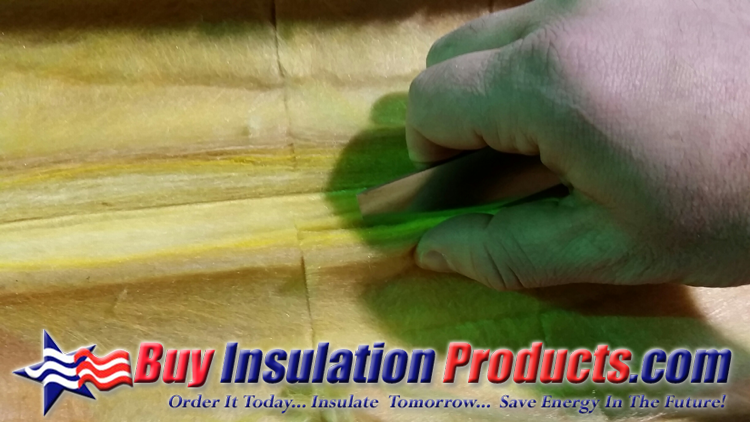 STEP 5: Line the carved out section of the fiberglass pipe insulation onto the pipe union and install as normal. 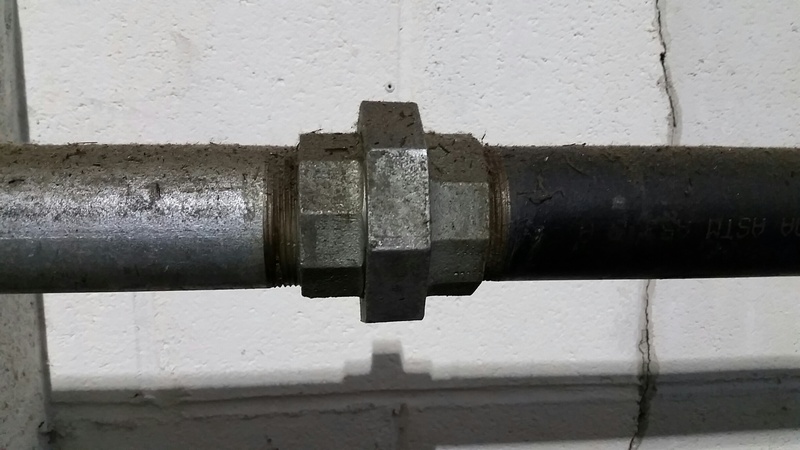 The notch out for the union will allow the piece of pipe insulation to close fully. If it will not close fully, redo steps 3 and 4 and take out some more of the insulation. 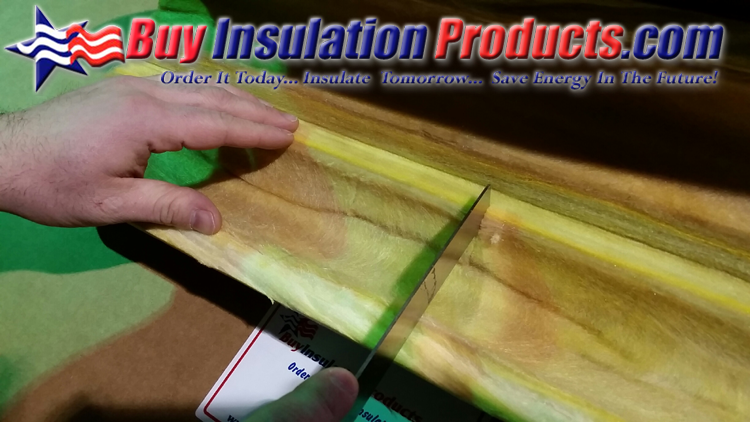 If you find that the pipe insulation you are using is not thick enough for the carve out method listed above, look into either stepping up to a thicker insulation for these raised Unions. 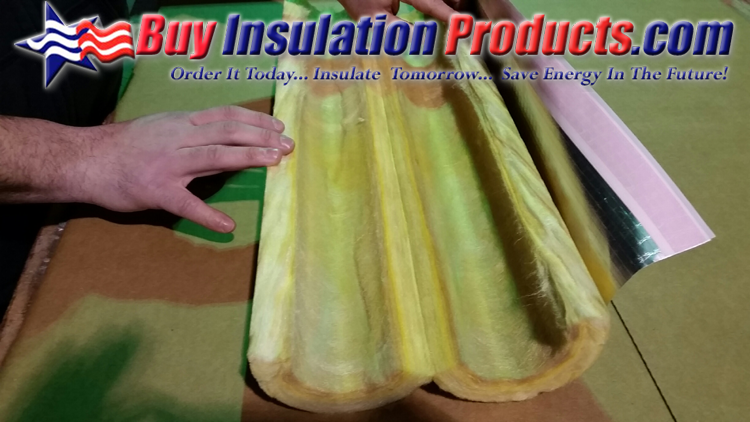 You can cut the thicker pipe insulation into a smaller piece and step the insulation up to the thicker insulation and carve out that piece. You can tape or paint with CP-11 the exposed fiberglass edges on the step up.